Hey folks. I forgot to mention something that had been sneaking up on me. 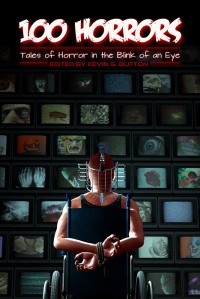 Friday marks the two year anniversary of 100 Horrors: Tales of Horror in the Blink of an Eye. This was my first published work. Grand times, except that Cruentus Libri Press will be closing its doors then. 100 Horrors, I believe, is definitely being taken down. However, the following books containing work by yours truly are likely to be removed as well. This will be it for those tales, guys. It’s rare and sad that roughly half my bibliography will no longer be on the market. So now is your last chance to grab a little history in the making. So grab your copies while you still can! Available in both print and digital. I’m in a possibly curious position. Here’s what’s going on. A few months back, I mentioned my work being accepted for a couple of anthologies. 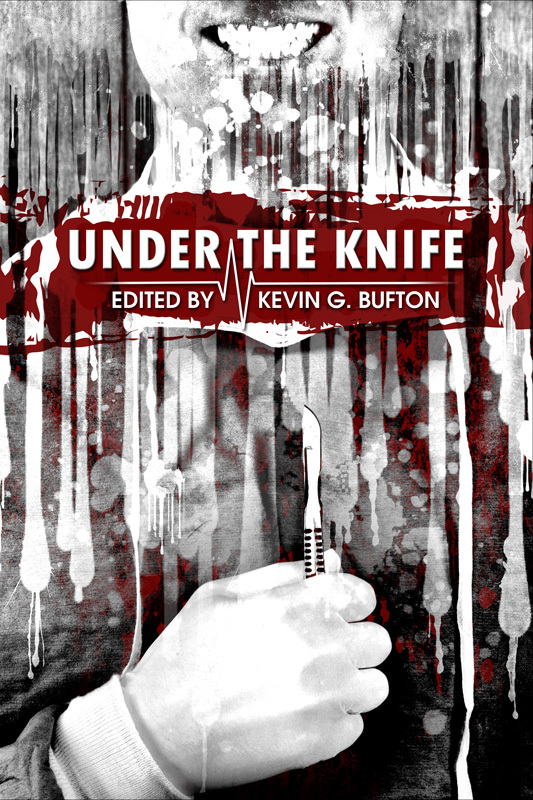 Due to a few events, Under the Knife and War is Hell will not be released for a while. Although frustrating, there’s nothing I can do but wait it out and continue to write. However, thanks to the Bolthole Writers’ Fair, I’ve gotten four submissions into various publishers, and more are on their way at all times. It suddenly occurred to me that given the time frame, it could be a blessing or a total curse. It’s certainly possible that anywhere from two to six stories (maybe more) bearing my name could suddenly “explode” onto the scene mid-summer. And in terms of sales, I doubt it’s beneficial. Books cost a small amount and take a while to be used. So other books I wrote might be “drowned out” by the onslaught. But on the bright side, it’s not impossible to take the sudden interest in my name and use the momentum towards something bigger and better. But I don’t know what. If summer sees a spike in new traffic, I’ll have to be ready. Babies require a lot of care. Diapers, food, love, it’s quite a bit. But sometimes, you get a special child. Sometimes, you’ll need holy water, fire, sunlight, garlic, silver bullets and girded loins. 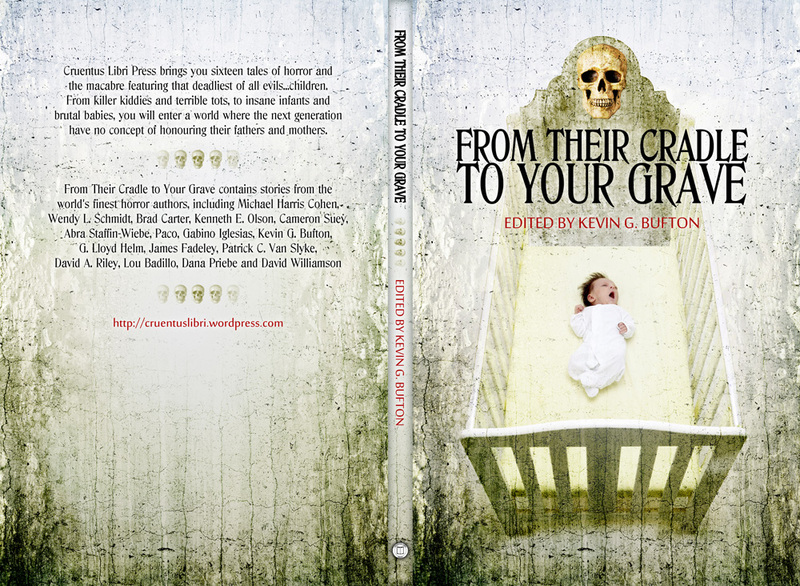 Cruentus Libri Press is firmly aware of the difficulties such children can be, and thus have concocted an anthology of cautionary tales to prepare the lucky parents of monster babies. But wait! There’s more! As if horror tales involving pint sized sociopaths weren’t enough, we can even bring in the family doctor! Also including a story by yours truly! On the bright side, your HMOs got this. Look for both these new anthologies this month! … please. Also coming soon: The Black Wind’s Whispers by the Bolthole. And by soon, I mean someday.